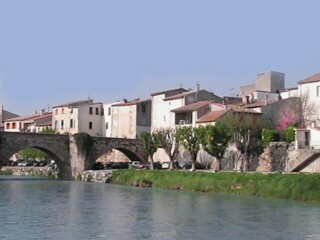 Below is a list of towns in Aude. Where a town is underlined, please click it to take you to a page with photos of the town, plus holiday attractions there. 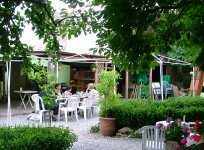 The links on the left also show you information on well-equipped and attractively decorated holiday gites in Couiza with a computer, terrace and original paitings and information on summer and winter holidays, lakes, markets, restaurants and more in Aude, South France. 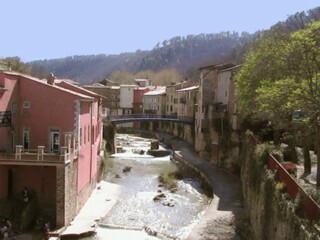 Wikipedia has a full list of Communes in Aude, which includes everything from cities and towns to tiny villages. 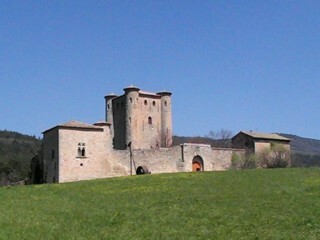 Antugnac, Arques, Bouisse, Bugarach, Camps-sur-l'Agly, Cassaignes, Conilhac-de-la-Montagne, Coustaussa, Cubières-sur-Cinoble, Fourtou, La Serpent, Luc-sur-Aude, Montazels, Peyrolles, Rennes-le-Château, Rennes-les-Bains, Serres and Sougraigne. Please contact us if you are looking for vacation accommodation near the above towns.